In Part 1, I reviewed some of the New Order's accomplishments thus far, and I inspired many to cheer. Today, I will explore some of the secrets to the New Order's triumphant future. Nature abhors a vacuum, and few vacuums are abhorred more than vacuum of power. Prior to the New Order, highsec--despite comprising the majority of EVE's population--never saw a leader who attempted to come to power. Why not? Because no one else thought it could be done. Everyone assumed highsec was a free-for-all, if not a safe zone. But they were wrong. There is nothing about a highsec system that prohibits it from being influenced, governed, or controlled. Enemies of the government may sneak through without punishment, but that's true of all systems in EVE--as the emptiness of nullsec will attest. And as the New Order has proven, CONCORD does not prevent an organization from using force against those who break the rules. Indeed, the trillions of isk worth of damages that we've inflicted far surpass the damage inflicted by the typical lowsec, nullsec, or wormhole organization. The typical carebear will object, "But you don't hold sovereignty in highsec. Your name isn't listed in the top corner of the screen." I don't need to remind the intelligent, well-informed EVE player, but I will: The majority of territorial claims in EVE do not correspond to in-game sovereignty. No one who "holds" space in lowsec has sovereignty. You cannot hold sovereignty in any wormhole. Large sections of nullsec are owned by NPCs, according to in-game sovereignty. It goes further: How many systems does the CFC hold sovereignty in? Or N3? The answer is a grand total of zero. Even though coalitions claim to hold most of nullsec, they cannot hold in-game sovereignty; only alliances can. This is no mere technicality, for the distinction is important. A junior member of a coalition can hold sov, but they will be kicked out in a hurry if they defy the coalition leaders. Last but not least, the renters. Greater Western Co-Prosperity Sphere and Brothers of Tanagra are two of the largest sov-holders in all of EVE. Yet they own no territory. They exist as puppet organizations for the convenience of the CFC and Pandemic Legion, respectively. There are other renter alliances out there, too. The New Order's non-sov claim of highsec is not only conceivable, it follows the norm. Adding it all up: Lowsec, wormhole space, NPC null, coalitions, and renters, the vast majority of territory claimed in EVE has nothing whatsoever to do with in-game sovereignty. I was the first person to make this realization, but before long, it will be the accepted wisdom among the EVE community. Still, even if it's possible to own some or all of highsec, who would want to do it? PvP activity in highsec often receives the condemnation of EVE players. The snobbish player looks down upon all things highsec, despite perhaps spending most of his time there on alts. This attitude carries all the way down the chain to the lowest strata of EVE society, the highsec carebear. They say ganking miners is not elite PvP. They say, especially after having been ganked themselves, "Why don't you try fighting someone who can shoot back?" Fair warning: What I am about to say goes beyond "real talk". It's 200-proof heresy. If you have small children, you might want to have them leave the room. If you are possessed of a weak constitution yourself, you might want to click away now and enjoy one of our other fine MinerBumping posts. The fact is, ganking carebears who can't shoot back is elite PvP. Indeed, it's one of the higher forms of elite PvP. Because nearly all "elite PvP" in EVE involves shooting people who can't shoot back. People just don't know it. It is forbidden knowledge. Let me give you a few examples. The supercapital/capital fleet of N3/PL is the largest collection of caps and supercaps in EVE. No other organization can match it. Many would consider them to be the most elite PvP'ers in the game. They certainly think so. Surely, if anyone engages in elite PvP, they do. Recently, one of the biggest battles in EVE history took place in the HED-GP system. There were so many people jammed into one system that the server failed. It didn't kick everyone out of the system, though. Instead, the game remained playable (barely) for the N3/PL fleet, while the vast fleet of capital ships from the Russian bloc and the CFC were rendered inoperable when they jumped into the system. When one side of a battle is frozen due to server issues while the other side can attack, it is known as a "turkey-shoot". Over the course of several hours in ti-di, the N3/PL fleet massacred the RUS/CFC fleet, who couldn't react. Hundreds of billions of isk worth of damage were inflicted, and strategically, the balance of power tilted in N3/PL's favor. By now you might have guessed the reason I related this story: The group considered to be the most elite PvP'ers in the game won the battle by shooting people who couldn't shoot back. At least a miner can launch a few aggressive drones. One might object that the N3/PL fleet doesn't win all of its battles this way. However, the example is telling because N3/PL were no less pleased by their HED-GP victory than any other. Nor was their reputation for being elite PvP'ers diminished in any way; if anything, it was enhanced. This proves that people don't really care whether the loser of a battle could shoot back. Another example, this one from further back in time, just to show you that nothing has changed: The Band of Brothers. N3/PL are far from the first to benefit from a turkey-shoot. BoB was the master of turkey-shoots. Back in the day, the servers were much different, and only one or two hundred pilots could be enough to crash a node. These crashes affected players very differently, depending on how far away a player was from CCP's server (in the UK). For various reasons, BoB had a British-heavy membership, and this translated into an enormous benefit when laggy conditions arose. As a result, they won a large number of turkey-shoots. I was personally present for many of these turkey-shoots. Onlookers viewing battle reports were amazed to see BoB consistently wipe out enemy fleets (such as ASCN) while suffering no losses. This wasn't due to logistics or spider-tanking, since at the time remote-repping doctrines were not used. Rather, BoB fleets won because they were shooting large numbers of enemies who couldn't shoot back. Every major battle in the ASCN war involved laggy conditions in which the ASCN was utterly destroyed, often without inflicting even a single loss against BoB. The result? BoB built an empire on turkey-shoots. BoB was perceived--before the t20 scandal, that is--as the most elite group of PvP'ers in EVE. Yet their enemies had no greater ability to shoot back than an AFK miner. The small-gang PvP'ers may scoff at all of this big fleet nonsense. "Forget the F1 monkeys," they say, "The truly elite PvP'ers are in small gangs. We don't gain our reputations by shooting people who can't shoot back." But they do. Small-gang PvP'ers tend to kill their enemies by catching them one at a time, at gates. If their victims have a chance to shoot back, it's cut short from the moment the ECM hits. Small gangs pack as many ECM mods onto their hulls as possible, because they prefer to kill people who can't shoot back. And the solo PvP'ers, the cream of the crop? They interpret "solo" in the broadest possible sense. To them, "solo" means, roughly, "not solo". They bring along a Falcon alt, so they can jam their enemies and shoot them while they can't shoot back. It's true that battles take place in which both sides can shoot at each other. However, it's equally true that in many, many cases, elite PvP'ers rack up kills by shooting people who can't shoot back. What's important is that no one makes any effort to draw a distinction. People do not dismiss, disqualify, or separately categorize the kills they got when an enemy was defenseless. They don't sort between such battles on their killboards; they take their killboards as a whole. Whether a target was jammed or not, whether a target was lagged out or not, a kill is treated as a kill. As long as the victim wasn't a miner, that is. In that case, it doesn't count. Even though the miner is no less capable of shooting back. If we are honest, then, we see that it doesn't matter whether a target can shoot back or not. Highsec gankers and "elite" PvP'ers are no different, except that highsec gankers are more efficient. I warned you this would get heretical. Then we come to those who concede that power and influence may be exercised in highsec, against carebears, but who believe it's bad for the game and CCP. They say new players must be guarded under a warm blanket of protection until they get a certain amount of money and skillpoints. If not, CCP will go bankrupt. And just to make sure no newbies are hit in the crossfire, we must protect everyone who does carebearing in highsec, no matter how old or flush with isk. I have made no secret of the fact that I don't care about CCP's finances. To some, this makes me a villain or a madman. But in any other video game in the world, my attitude on this subject wouldn't set me apart in the least. In no other game do you see players making arguments for balance or game mechanics based on how it affects the video game company's bottom line. No one ever says "nerf this" or "buff that" because EA can boost its profits from one change or another. No one is kept awake at night because Blizzard or Microsoft or Sony or Nintendo is challenging new players too much. Only CCP's financial situation is given such sympathy by gamers, and only when it comes to a discussion about EVE and highsec. You're not reading all those other players' blogs, though; you're reading my blog. So let me tell you what my opinion is. No, I don't think highsec should be made into a theme park so CCP can make more money. Not even if EVE's membership numbers become stagnant, or go into decline, or even if CCP faces bankruptcy. If CCP didn't want to go bankrupt, then they shouldn't have developed Dust 514 and World of Darkness. * James 315 drops microphone a second(!) time, walks off the stage. * James 315 returns to the stage after an appropriate interval and resumes speaking into microphone. Let's be honest. It's MinerBumping, so we can do that here. We all knew Dust was going to be a bust. The FPS market is saturated and demands high quality. Dust was made by the people who couldn't get walking in stations right. Obviously it wasn't going to be anything special. The EVE integration that was supposed to set it apart? It was a non-factor. Earning an NPC artillery strike after racking up a certain number of kills is something that a lot of FPS's were doing long before Dust, and it didn't add anything that an EVE player was the one activating the strike. There were a host of other issues with Dust, but they all arose from the fact that it was never going to be anything special. As for World of Darkness, no one cares. Also, the name. "Dust 315" I could get behind. But "Dust 514" is the blandest possible name you could ever give a game. I don't know who came up with that name, but apparently he holds a position of extraordinary influence at CCP. Long story short, those who create emergent gameplay in highsec ought never to be blamed for any financial troubles CCP has or may have in the future. Nor should EVE, really. That can all be put on Dust 514 and World of Darkness. In conclusion, all of the arguments against a player-controlled highsec, fail. But can the New Order really reign supreme across all of highsec? How can we do such a thing? Find out next time, in the conclusion. Still on the edge of my seat... another epic series by James 315. We will all be telling our grandchildren that we were there when James 315 led us to victory! >No one ever says "nerf this" or "buff that" because EA can boost its profits from one change or another. It's worse than that. When EA makes a move that is clearly there to do nothing but boost their profits, people complain. As for the Dust 514, it released on May 14. So someone thought they were being clever by releasing it on that date, even if it wasn't ready. Even though releasing early and getting the Dust economy established just made it harder for CCP to link the Dust and Eve economies. Ganking is not elite PVP. I don't really see that the "eliteness" of the NO is relevant to anything. The answer to "Why don't you try fighting someone who can shoot back?" is not "cuz I'm 'leet". It is: because I don't want to. Fair fights are antithetical to enforcing the law. They raise the expenses of doing so, with no gain in effectiveness (indeed, much loss). Do you ever see police put away their guns so as to have a fair fist fight with some tattooed freak? No. Because they are not trying for "elite fighter" status. They are trying to enforce the law with the absolute minimum risk to themselves. The important point is your distinction between "sovereignty", the rather stupid EVE game mechanic, and sovereignty, the real world concept. You are sovereign because you wield force. You wield force because the game mechanics applying in highsec allow you to strike people with impunity. "Political power grows out of the barrel of a gun." "I fooled you! I fooled you! I got pig iron! I got pig iron! I got all pig iron!" "I don't really see that the "eliteness" of the NO is relevant to anything." Yes, you totally missed the point, but at least you recognize it. I won't call that "elite pvp", I'll call that "carebear pvp"...oups. Bravo James 315, Bravo Sir! Here's hoping Part 3 can out-do Part 2 by having no less than three pictures of The Savior embedded in the text. James 315 strips away from the carebear and his/her supporters the dainty veil of respectability and self-righteousness, to reveal the horror of the true face of the Highsec Miner. A Cowardly, complaining, cringing face. I didn't understand all the references to Sovereignty and governance, I must admit. But it's clear to me that if the Supreme Protector can create - yes, create - an entirely new playing-style for one of the most popular and challenging MMORPGs in existence, then he can certainly create a new form of rule for Highsec. Previous models are hereby rendered redundant. The CODE. prevails. Of course the New Order's Knights are engaged in Elite PvP. The Saviour's argument about the pervasiveness of the 'can't shoot back' element is unassailable, for it is the truth. But it goes further than this. The term 'Elite' also embraces the knowledge and skill of the pilot in preparing and executing the gank, as evidenced in James 315's 'Thrashing and Vexing' post recently, and elsewhere. As robust a rebuttal of the Carebear position as we are ever likely to see. Hail James 315, Supreme Protector, Saviour of all Highsec! Aww, come on James, you're killing me!! Another way to say this heresy is to call it tactics, seriously, this is used by even militaries around the world with weapon systems most people won't see until the weapon itself strikes. Anyway, that's my two cents. so basically, james. You would prefer EVE Online crashed and burnt if it got you your own way. If EVE is so terrible and in sucha state...why keep playing it? Post with a name or GTFO. I am so tired of these Anon losers too scared to use their fake internet spaceship pilot name. Of course James wants EvE to be successful, which is the whole point of the NO in the first place. But hoping it remains successful and being responsible for the finances of the company behind it are two totally different things. Players aren't responsible for managing CCPs financial position. CCP are. If anything, in the longer term the Code will help CCPs financial position. If all of Highsec follows the Code and all people in highsec are actually playing the game while logged in, the interactivity will increase, the willingness of players to take an active role in pvp in highsec will increase, the sense of one large community will increase. If that happens, the reputation of the game outside the player base will also increase, which will attract increased numbers and importantly, increase player retention. Win, win all around, including CCPs finances (without even worrying about them as a player). Elite PvP. You are so delusional. I really hope you aren't allowed near sharp objects. There are PvP'ers in the NO who are outstanding at PvP (Bing comes to mind). But the the minions you expect to carry out your vision will never be in numbers sufficient to hold onto more than the handful of systems you extort from now. No problem - we'll train an army of Bing clones. ^I second that motion. 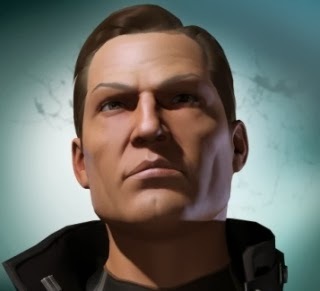 Better give them very distinct names so that CCP can't suspect them for impersonating themselves though. They will be elite pvpers and elite diplomats - polite, well-spoken and articulate killing machines. where i agree is that I have yet to meet an EVE PVP player that is elite. I have to admit to being on the edge of my seat here for part 3. Great late-night reading as always. --Spare the rod, spoil the child. We would NEVER allow highsec to destroy itself through its own ignorance and petty greed! --you cant always get what you want, but if you try some time, you just might find, you get what you need. there is no more begging for themeparking highsec that will not be met with the most emergent gameplay Eve has seen in past years. highsec NEEDS James 315!! just reading part 2, i could not have described the way i feel any better if i had written it myself. im starting to think i might REALLY BE a James 315 alt, like something out of fight club (without all the bruises and soap) bring on part 3! I DO care about World of Darkness so at least one people care :D Think at how refreshing it could be to have a non-sci-fi MMO with the same sandbox standards than Eve. That would be a revolution on the current market in my opinion. About Dust 514, you forgot to mention that we knew it was doomed also because it was sticking to PS3, which, in addition to be a console fps ignoring the PC playerbase, is also a DYING console. how many miner bingo squares did we just get here??? "pre-teen levels of grammar and spelling"
I have to ask. I fail to see the logic of why do you bother 'playing' EvE, if you appear to derive more satisfaction from other activities not EvE related whilst logged in? I don't see it either but I don't give a damn. And I wonder why you do. If ANON 4:03 is happy with that and pays for the game, all is fine for me. What defines Elite PvP is being able to recognize and capitalize on an enemy's weakness. There is no such thing as a fair fight, and it's childish to think so. Those with winning killboards get there by knowing how to stack the odds in their favor, not by some idiotic sense of E-Honor. A fight is won or lost before the first missile launches, the first autocannon barks to life. The sheer level of small mindedness from care bears is stunning. Focus on NO as if what we do is exclusive to a few players. Minerbumping.com is a TUTORIAL. One of the most comprehensive ever made for Eve Online- from skills, ships, fittings, tactics, and organization...this is a DIY kit for high sec extortion rackets. What should keep miners up at night is not a few RP'ers having a laugh, but that ANYONE can extort miners on a whim. Other miners can rid themselves of competition with a week old alt. Killing miners, taking their money- is something anyone can do. No RP needed. We're teaching all of Eve, every bored miner, every pirate wannabe, every newb that didn't join an MMO to play alone....exactly how to turn high sec into a cash cow by good old fashion extortion. It's easier money than....mining. Howl about the fun we have in local...but we're not doing this for US.....we're doing it so everyone in Eve can milk miners like the cattle they are. Cheers. i dont agree to mostly of this things written above. 1. Show me a player that joins EVE for "just / only " mining (iam not talking about these double tripple accounts or the 3rd char of 1st account)? 2. Since PLEX is tradeable lot of people Redeem their plex and sell it, before that was possible it was hard to get isk. CCP earn huge amount of money with that system. 3. Maths: Your alliance + all your followers will be at max. (current status) less than 250(not including chars of 1 account as same double or triple accounts). Usually miners in a High sec system 24/7 0-50. And only a minority uses a weak ship. There will be always people that are gankable but its just impossible with that low number of members. 4. Lets talk about elite PvP: usually NO Retriever could be a victim of a single ganker. 2Acolyte T2 + 2 Warrior T2 + 1 ecm Drone, Med Slot ECM. Not a victim! It would cost at minimum 2 catalysts to shot him down. Even a 3rd one if the ecm released on the 2nd attacker but its tricky to be fast. So a true elite miner with retriever would cost you 3 cats. No miner does so, cause theyre stupid. But that means youre not strong you just use their stupidness.
" Lets talk about elite PvP: usually NO Retriever could be a victim of a single ganker. 2Acolyte T2 + 2 Warrior T2 + 1 ecm Drone, Med Slot ECM." HAHAHAHAHAHAHAHA.... oh, you're serious? Let me laugh even harder. Did you just start playing yesterday or something? Because really, if you've been playing for more than a week, you should be able to tell me EVERYTHING that's wrong about that setup. Please, post your lossmail when reality happens. Really James 315 that's your character a stupid play on john 3:15 of the king James bible and your calling yourself a savior. I thought I had no life and spent too much time on eve but you make me feel so much better about myself and i must thank you for that. But when you think about it this is kinda a funny cult following a false prophet you even make your followers pay to engage in actions that are just part of the game. I am curious why the fee anyway if you want some of the profit from mining then do it yourself. Anyway I cant wait to laugh at more of your ideas for a fake area of a fake galaxy.